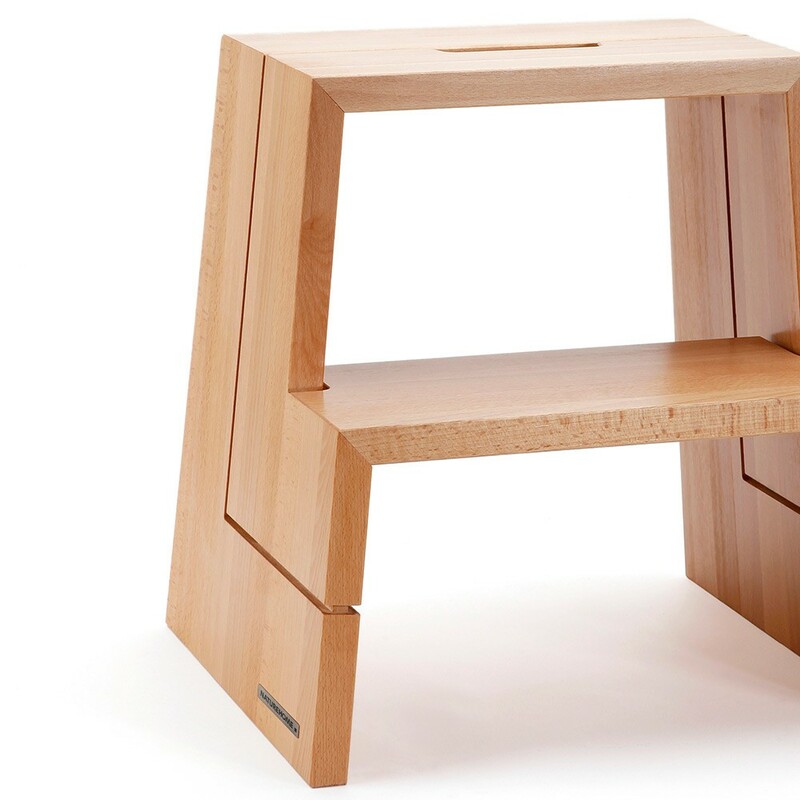 Functionality at its finest Our step stool is a perfect example for the succeeded symbiosis between style and function. 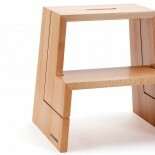 Its strength lies in the simplicity and in the clear design. The design smithy Läufer+Keichel in Berlin designed the beautiful footstep. Produced of solid, certified and sustainably grown beech wood and natural-colored oiled, it meets highest quality demands. Wall units, the highest shelf of the wardrobe, the lightbulb of the drop-light - there are enough "unattainable" things. 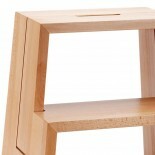 Especially for kids, the step stool is an indispensable piece of furniture to get a lot closer to the adults. Its classic design makes our step stool a unobtrusive and indispensable furniture which should not be missing in any household. 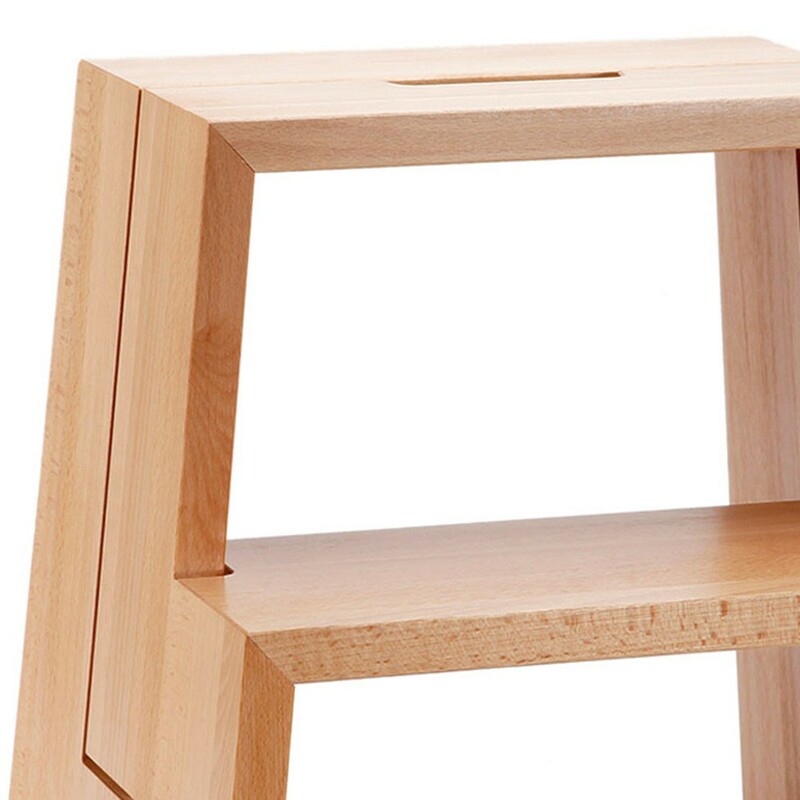 Due to its total height of 46 cm, it has a classic sitting height whereby it can be used as furniture to sit on, too.Our NATUREHOME stool is available in natural-colored oiled beech. Use our premium, to protect your floors.